A new chapter in the political history of Mad Max will be written on Friday. Three weeks after slamming the door of the Conservative Party of Canada (CPC), the Beauce, Que., native will be in Ottawa to unveil the name and logo of his new party. As first reported by the Toronto Star, Maxime Bernier's team confirmed that they registered "People's Party of Canada" as its official name. They have also registererd other names, just in case. Bernier will sit as an independent when parliamentary proceedings resume next Monday in the federal capital. At Elections Canada, no documents were received for the registration of the party on Thursday afternoon. The Beauce MP intends to put an end to the suspense at a press conference on Friday morning, while he will also show a glimpse of the new party's finances. 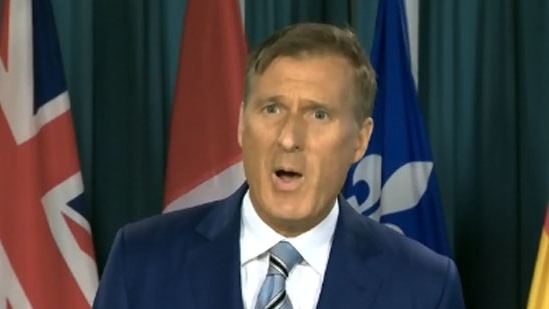 His spokesperson did not want to specify the amount raised, only to say that the milestone of $100,000 had been reached since Maxime Bernier left his party three weeks ago, accusing them of being 'too intellectually and morally corrupted to be reformed'.